B.Singh, Hinckley: "Reliable service by Adrain who arrived as per appointment and installed the latest anti snap locks throughout our home. 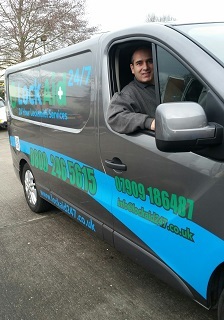 It's nice to meet a trustworthy tradesman you can rely on." M.Beaker, Hinckley: "With several broken doors we decided to call someone that knew what they were doing. 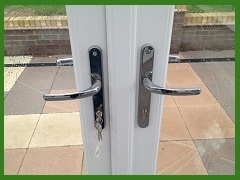 Our rear French doors just needed adjusting and the rear kitchen door required a new lock mechanism. Adrian fixed it all that morning and left us with perfect working doors again." T.Patterson, Hinckley: "Recommended by my aunt we decided to call Adrian at Lockaid to take a look at our jammed uPVC door. 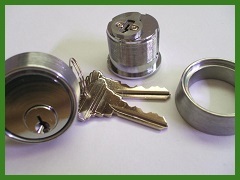 Within half an hour it was opened and fitted with a new gearbox to replace our worn 20 year old lock." uPVC doors suffer from various faults from jamming locks, poor adjustment, wear and tear which left long enough will eventually seize completely. 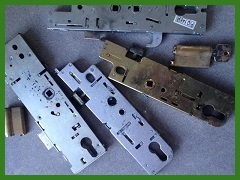 As a door repairs specialist Adrian carries a wide range of locks and hardware for the majority of domestic doors and can generally repair in a single visit with the exception of older obsolete parts or if a full replacement lock mechanism is required, which can usually be sourced & obtained within a couple of days. Whatever your door issue, give Adrian a call for a free quotation, which can usually be given over the phone following a quick chat and a few questions about your door. 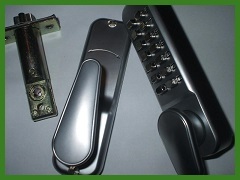 Uprated anti snap locks are now an important upgrade for older uPVC doors which are vulnerable to a widely published destructive attack that can see your door unlocked in under a minute. We can supply and fit a range of products to protect against such attacks from high security handles to high security locks capable of withstanding a prolonged destructive attack. Again if this is something you'd like to discuss with Adrian, just give him a call directly, he's always happy to help and advise on the best solution.